Walks on Mull, coastal walking, South Mull, Ross of Mull, Isle of Mull. 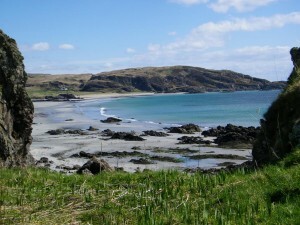 Walking the spectacular, scenic walks on Mull and the Ross of Mull peninsular and the Isle of Iona. Rugged red granite hills, remote moors, coastal cliffs, magnificent mountains and spectacular beaches. 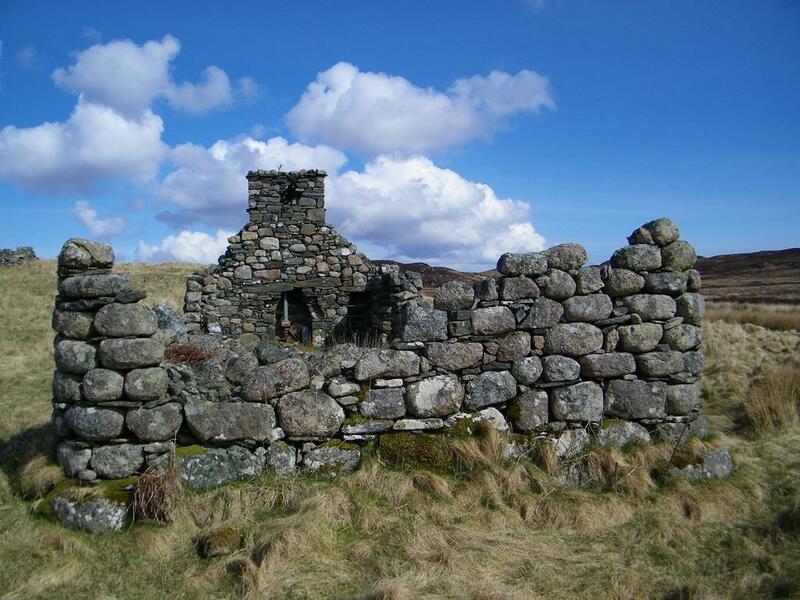 An area with ruined townships, evidence of a difficult history of Highland Clearances, thought provoking, interesting, challenging and uplifting. 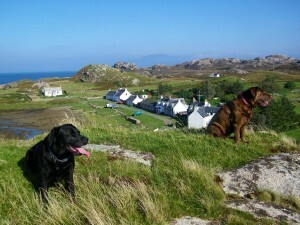 John with his dogs Megan and Lainie at Seaview B and B have enjoyed all of the walks on Mull and Iona described below. 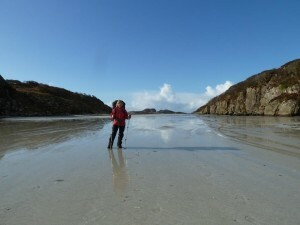 Absolutely enjoying many hours walking and exploring in the wild open spaces of the Ross of Mull and Iona. Seaview bed and breakfast is a member of the Walkers Welcome read more scheme run by Visit Scotland. Consequently you can be assured of a very warm welcome. Always somewhere to dry out your clothes and boots, a laundry service, packed lunches and hot flasks, a cracking bed, good breakfast and top service. 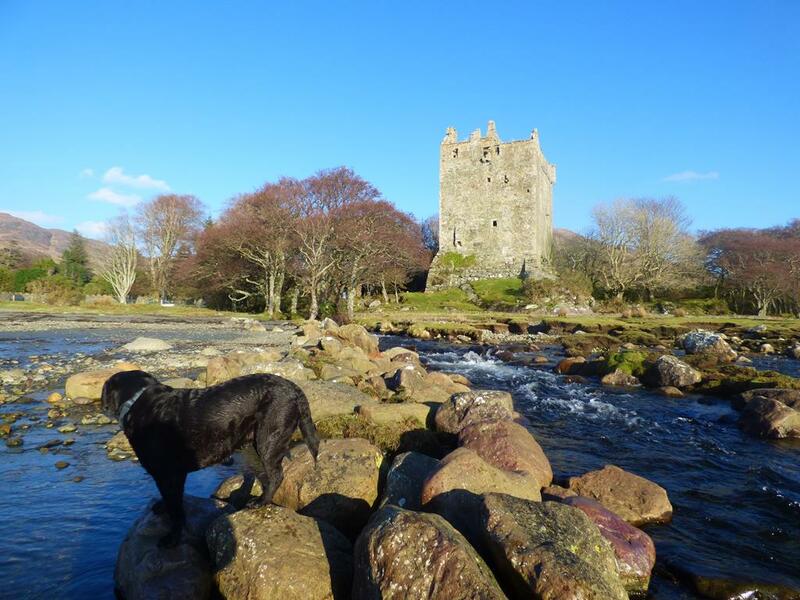 We understand your needs after a days walking the walks on Mull and do our best to relieve the aches, pains and tired feet. 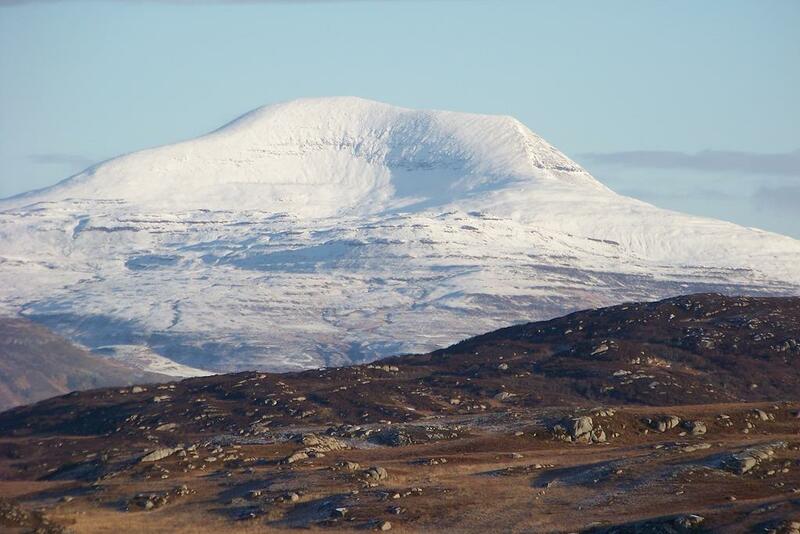 Your host John will help with advice, guidance and information on all Walks on Mull and Iona plus much more. 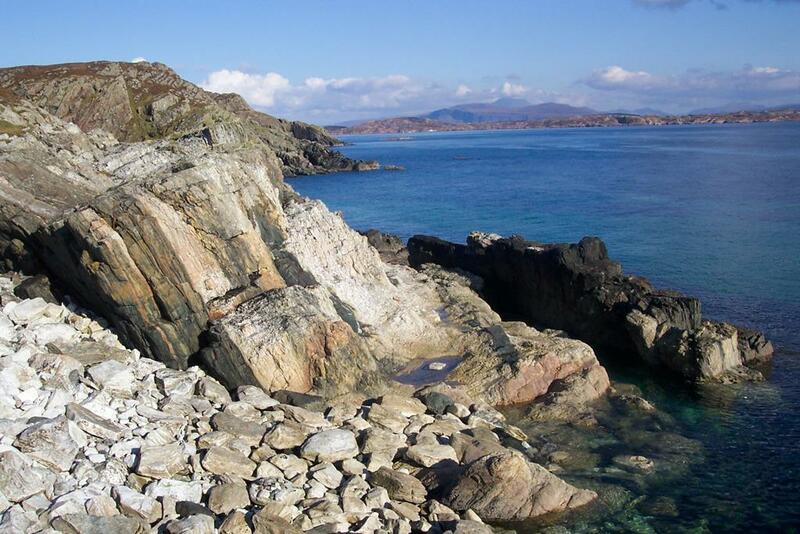 We have OS maps and guide books for you to plan your walks on Mull and Iona Walks. 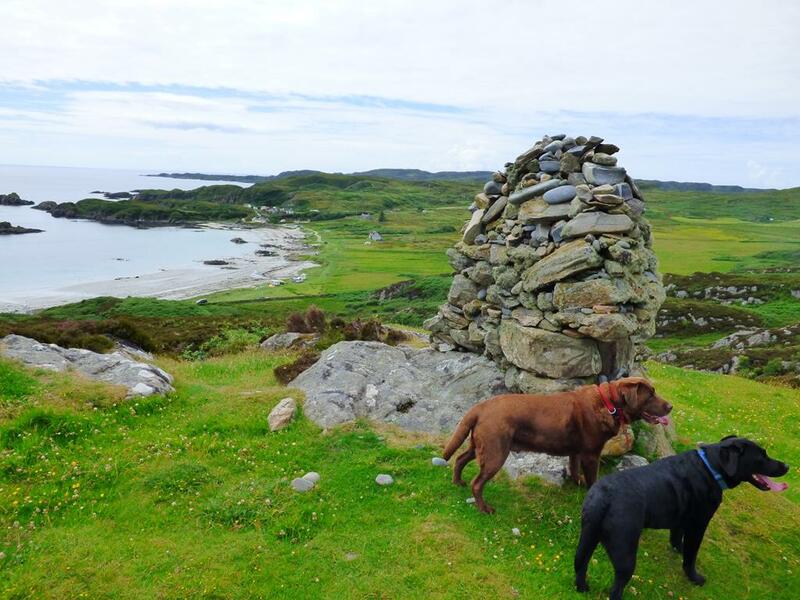 Easily plan your day on our Mull walks Iona walks page below with the help of John's interactive google route maps. 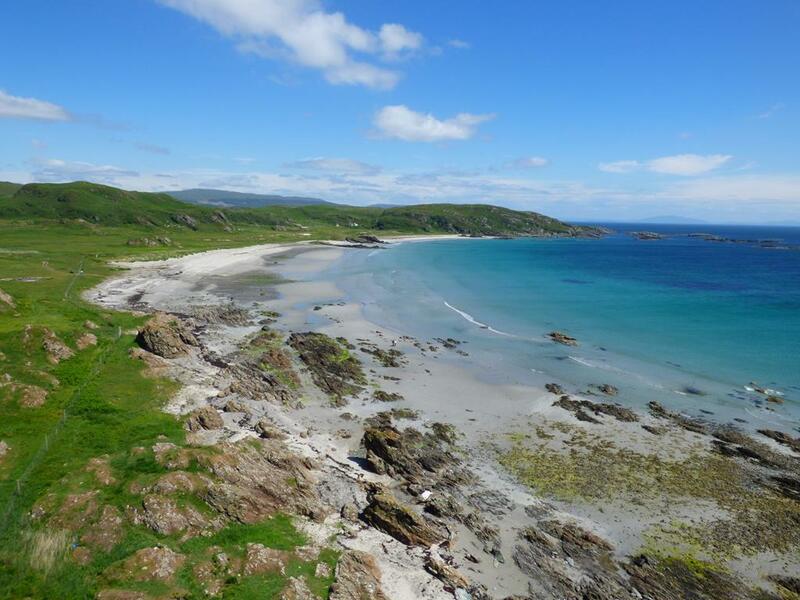 Also Beaches on Mull with route maps read more to help you plan your adventures to Mull's superb beaches. 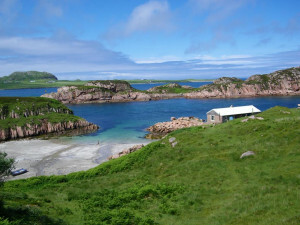 Mull walks Iona walks from Seaview B and B are listed below handpicked by John who has walked them all many times! 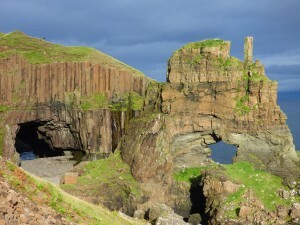 A medium length tricky coastal walk above basalt cliffs, with interesting geology and spectacular views.Ground tending to be wet and slippery, good waterproof walking boots require 2 to 3 hours return from Bunessan car park. 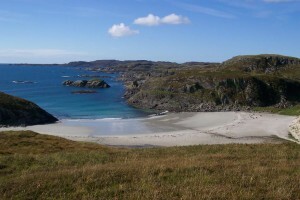 A medium walk across open moor land on the Ross of Mull to a narrow bay. A bonnie quiet spot with historic cottages and quarry used for the lighthouse building of Skerryvore and Ardnamurchan Lighthouses. Thereafter to a secluded royal beach called Market Bay. Good stout walking footwear. 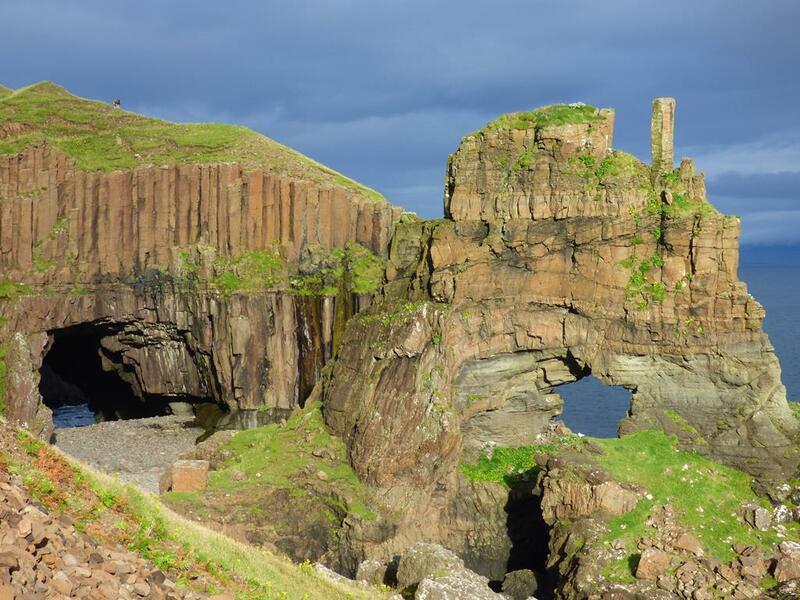 A long 5 to 6 hours walking below the dramatic Carsaig Cliffs taking in the spectacular sea views, cliffs and varying wildlife arriving at the natural basalt Carsaig arches of Malcolm's Point. Another geological wonder of Mull. 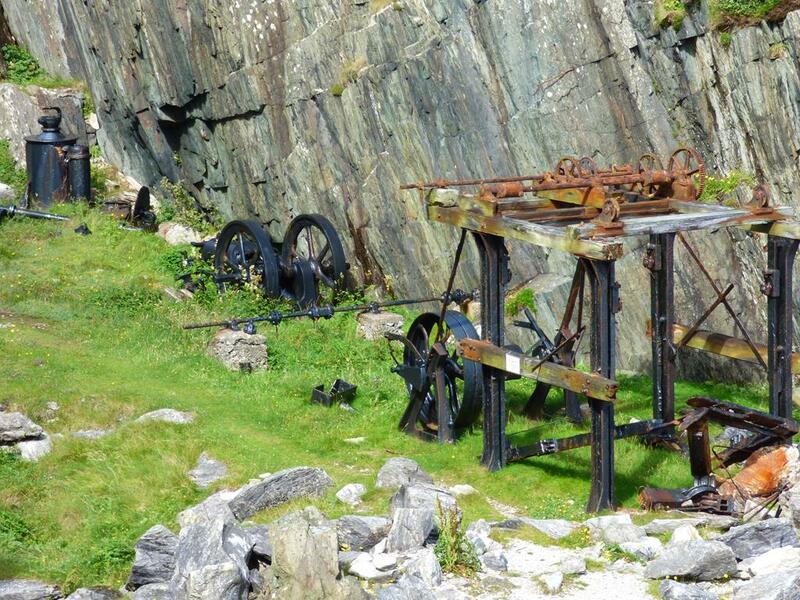 A very challenging remote walk for the serious walker. Let someone know where you are going and expected time back. Good walking boots, walking pole, some rations and a good level of fitness. Rugged coastal walking along the scenic Fionnphort powder white beach.Enjoy stunning seascapes and views to Iona and Abbey from Mull, a picnic on Tormore beach and explore the history of the Tormore Quarries. Wellies or walking boots. 1 to 2 hours round trip from Seaview. 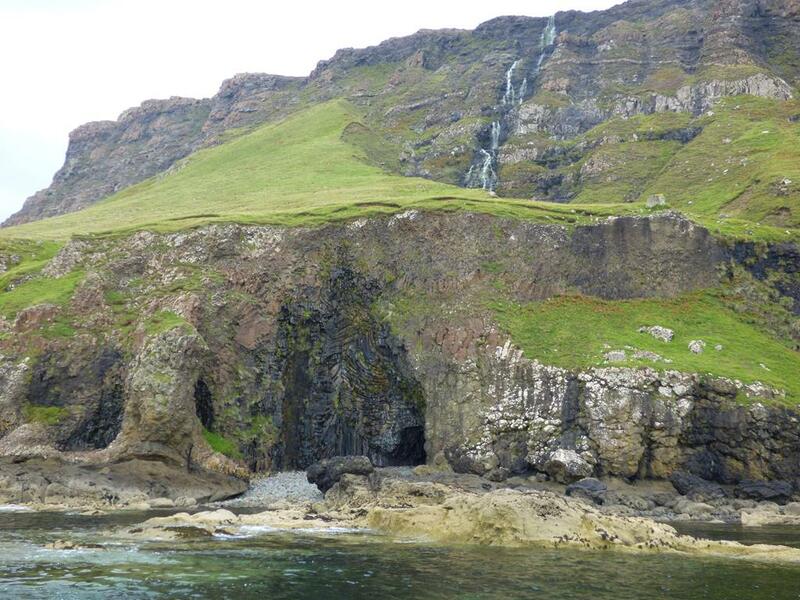 2 to 3 hours walking to the tidal island lying just off the south west corner of the Ross of Mull. 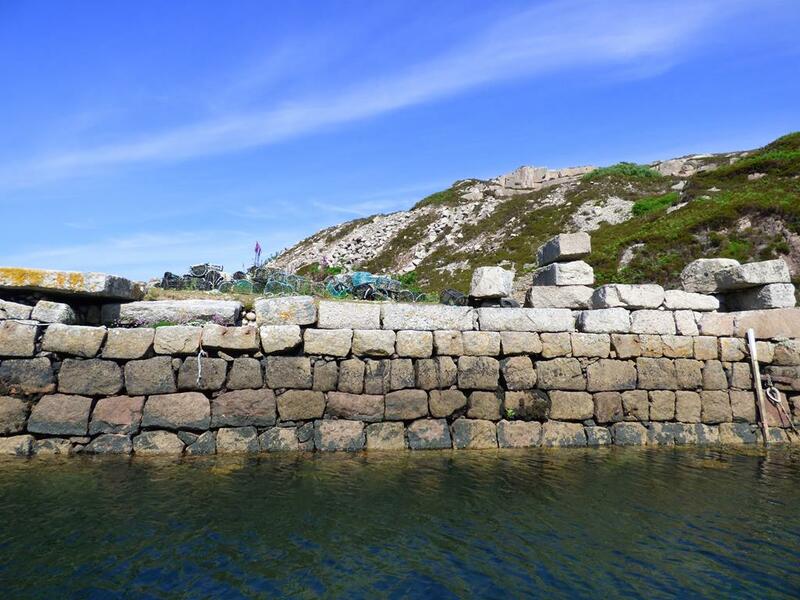 It has historical connections with the relatives of the famous writer Robert Louis Stevenson, who was part of the 'Stevenson lighthouse family' and who was best known for his adventure stories 'Kidnapped' and Treasure Island. 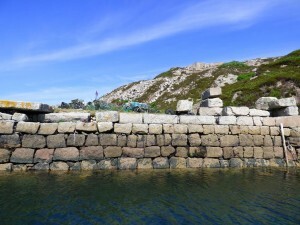 Relatively easy walk requiring waterproof foot wear but a knowledge of tidal conditions and tide times essential, John can provide advice on the tides and when walking across the sound of Erraid is safe to do so. A gentle walk of about 2 to 3 hours visiting one of the major historical sites in Scotland. 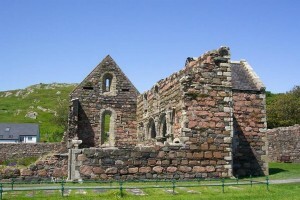 Iona Abbey, Iona nunnery, St Oran's Chapel. 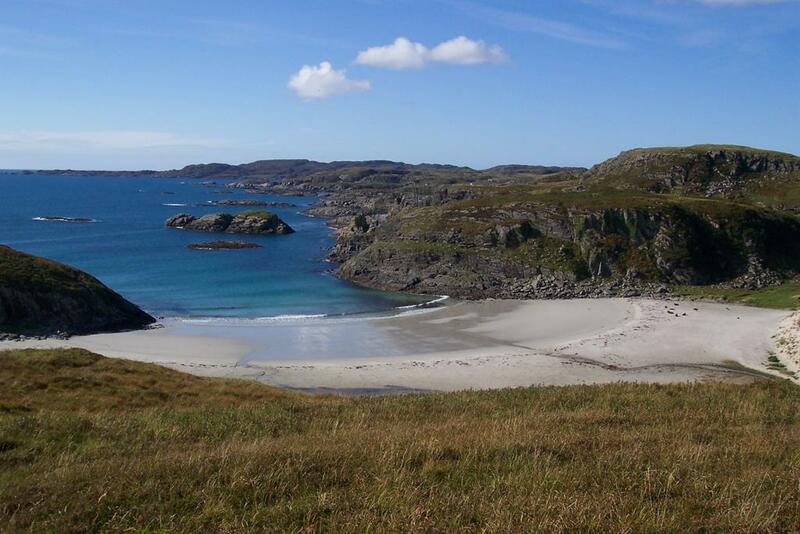 Enjoying some of the most beautiful machair and powder white sandy beaches and super maritime scenery in the world. 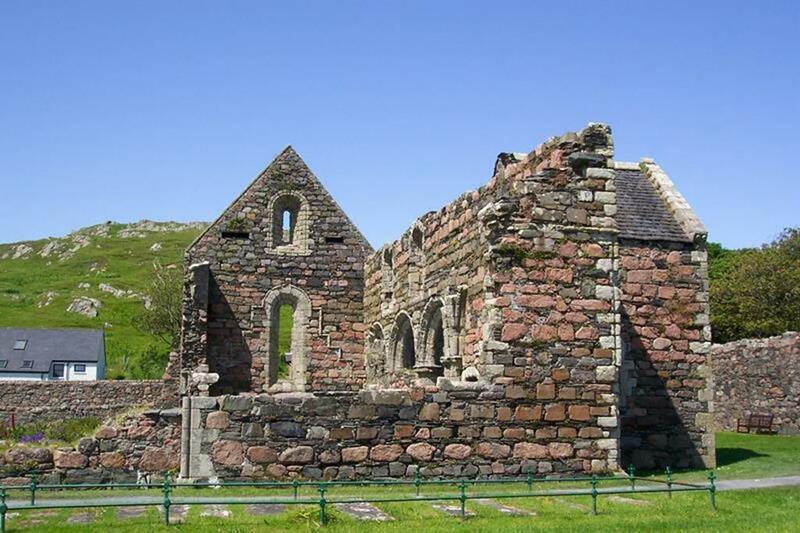 Climb the mysterious Dun I for fabulous views of Iona and surrounding islands. You can see Ireland in a good day. Magnificent varied and scenic coastal walking to a medieval church, cemetery and spectacular beaches and a ruined village. Long walk of varying terrain moderate difficulty due to length walking boots and a degree of fitness essiential must. 1 to 3 hours depending on whether you choose to do all of the walks or pick out one or two. 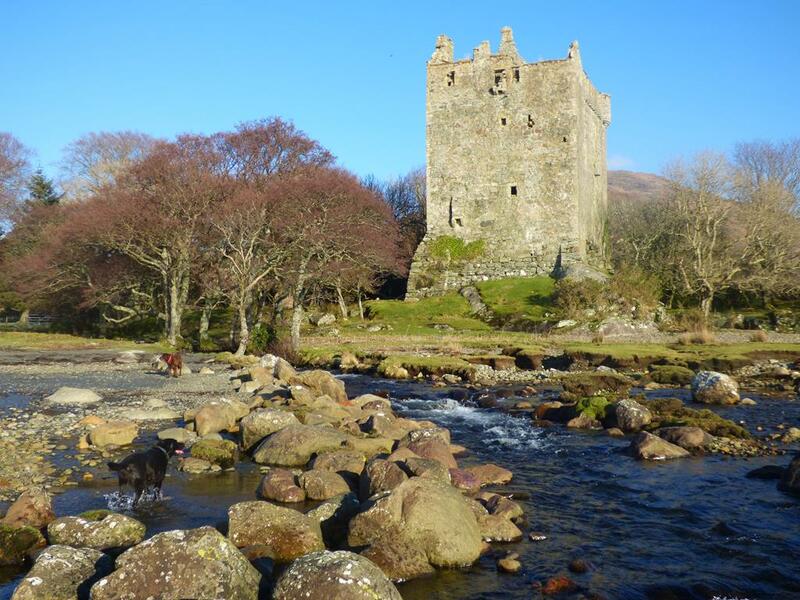 Combine a day out with a drive to Loch Buie and two short walks and a longer walk to the Standing Stones and the Maclaine stronghold of Moy Castle in the scenic and historic glen of Lochbuie plus a longer walk to Laggan Sands and ancient Maclaine Mausoleum. All three walks are in the setting of the magnificent backdrop of Ben Buie. Reasonably easy walks of 3 to 4 hours if you do everything waterproof walking boots recommended. 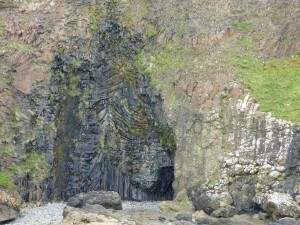 Walks on Mull Fossil Tree, Burg, Ardmeanach- A walk on the wild side! An arduous 10 mile all day excursion on the Ardmeanach peninsular owned by The National Trust for Scotland where eagles soar, goats cling to the magnificient volcanic landscape of Burg cliffs, an Iron age fort and farm with fabulous views of Loch Scridain and The Ross of Mull and finally down a ladder to McCullochs fossil tree. 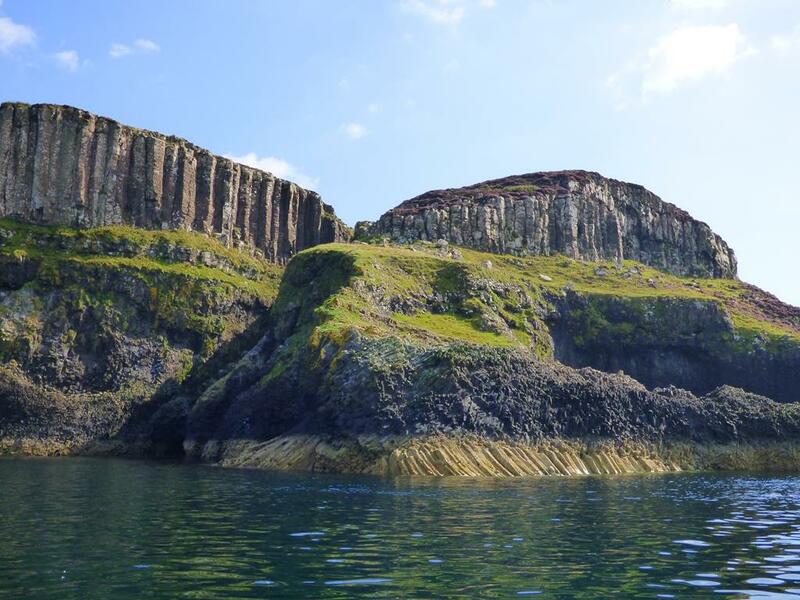 Superb views of The Treshnish Isles and Staffa. For the serious, a fit walker, stout walking boots, rations and let someone know where your going and ETA back. A rugged 3 to 4 hour walking adventure taking in a nature reserve, historic abandoned townships, wonderful panoramas of the Ross of Mull, and the most remote and picturesque beach on Mull. 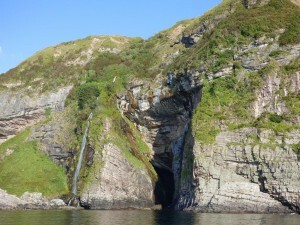 For the adventurous walker and the starting point 2 miles from Seaview bed and breakfast. Walking boots and good level of fitness required. 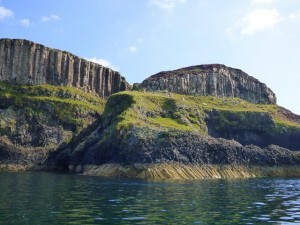 A very difficult 2 hour walk for the fit walker, along the top of a rocky boulder strewn shoreline with the spectacular grand basalt Gribun cliffs above you to the deepest cave in the Hebrides which is tidal and can only be reached from half to low tide. You must time the walk for a receding tide by looking at the tide tables before you set off. The seascapes to the islands of Inch Kenneth, Staffa, Treshnish and Iona are superb. Watch out for eagles and otters. Experience, fitness and walking boots essential. Mulls only Munro,Munro baggers often climb it last because of its isolation, a mountain over 3000 feet, You must be fit equipped with walking boots, layers of clothing ,rations, GPS, compass etc, be able to map read and get yourself off a mountain when it clouds over. Two main routes one easier than the other depending on experience. as described on link page. 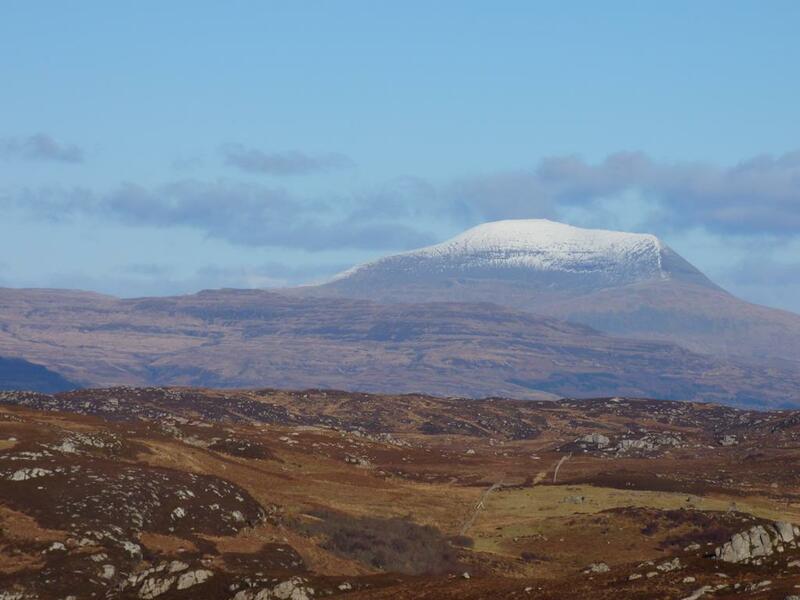 The views from the top are breathtaking and you can see Ireland,the outer Hebrides,Ben Nevis, The Cairngorms and The Paps of Jura from the summit.Watch out for golden and sea eagles eagles,seasonal dotterel and the elusive Ptarmigan.